What to cook and how to serve, this guide is the one stop shop for game day! It's almost Super Bowl Sunday, which means it's time to create your party playbook! Whether you're planning to be huddled by the TV while you cheer on your favorite team, casually tune in for the highly-anticipated commercials or just here for the food and drinks -- this is the perfect guide to help you create a Super Bowl party fit for any crowd. There's nothing wrong with plating up some classic crowd-pleasers like sliders, chili or chips and guac -- but for a more exciting menu check out what's on trend for the 2019 Super Bowl according to Pinterest! "Super Bowl continues to be the most popular sporting event on Pinterest with millions of searches, most of which are focused on food," a spokeswoman for the visual discovery engine told "GMA." According to Pinterest insights, these are the most popular recipes to serve at your Super Bowl 53 party. Have an open bar that goes beyond beverages! Create a festive feast that's easy to build as you go and come back for more. Guests can get creative with some hands-on Super Bowl favorites like pretzel bars which is up 1,140 percent in popularity and nacho bars which are also on the rise 70 percent, according to Pinterest. Plus there won't be any pass interference while guests are filling their plates! Make easy appetizers that will be done in no time! Every host will be cheering for these appetizer ideas that require only a few ingredients and can be made in 30 minutes or less. 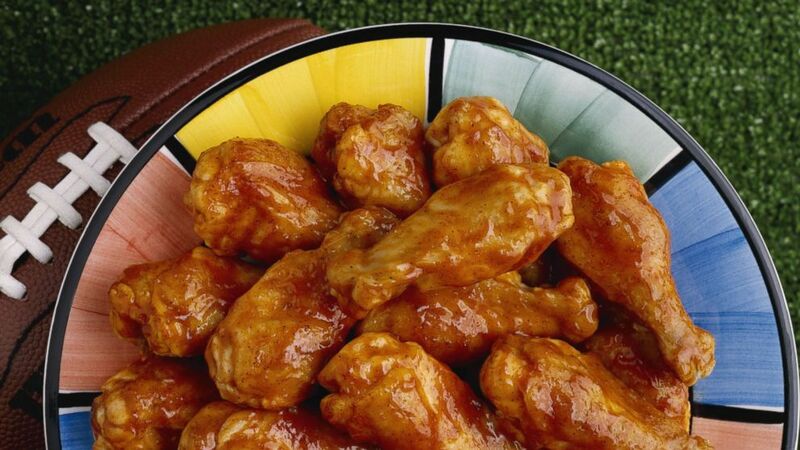 Searches for "Super Bowl food easy appetizer ideas" are up nearly 150 percent this season. Healthy fare will win big this Super Bowl with any guests who are looking for an alternative to traditional "cheat day" type bites. This healthy snack is crunchy, crispy and addicting but takes just 25 minutes to bake! Anyone that's really watching what they eat -- especially if you're on the Keto diet -- should check out even more delicious diet approved game day recipes here! Mocktails are on the rise with Pinterest searches up 736 percent since the last Super Bowl. Ditch the alcohol and still enjoy all the flavor of your favorite half-time libations! Pinterest also has a recipe filter that makes it easier to find exactly what you want to cook. You can narrow down your search by a specific diet, prep and cook time, and what ingredients you already have in your kitchen. Check out all the popular pins like how to prep like a pro! Create these easy DIY snack bags with just a few supplies. 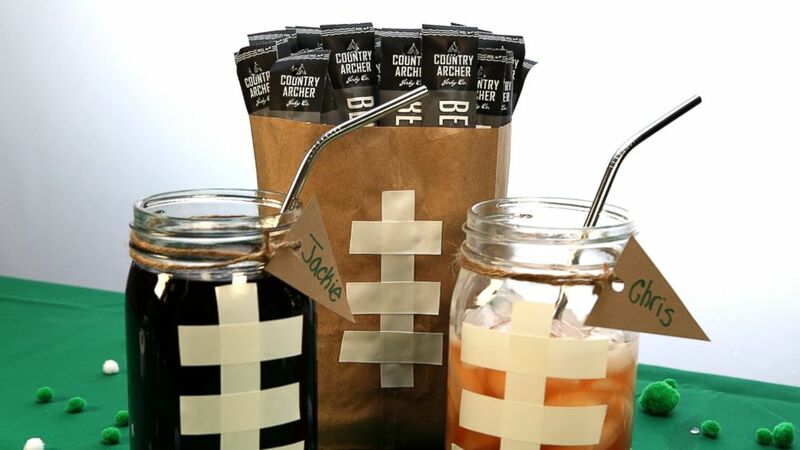 These DIY Super Bowl mugs and snack bags are sure to be a touchdown at your party! Thanks to Spotify you can create or find a perfectly curated music selection for fast and easy background listening. Check out Super Bowl or Game Day playlists and find the selection that fits your party's vibe!